Richmond, Virginia (or RVA to many) is home to an incredible underground music scene that has a plethora of bands representing several differing styles of metal and rock. When it comes to phenomenal doom bands based there, such notables as Windhand, Cough, and Druglord call the place home. Today, we learn more about another. TEL specialize in the creation of emotionally profound, traditionally influenced, melodic death and doom metal quite reminiscent of bands like My Dying Bride, Paradise Lost, or Katatonia’s earliest eras. The band capably treads into atmospheric spaciousness with a sorrowful heaviness driven by progressive elements, but with a more raw overall delivery. Today, we have an opportunity to experience that via the new official video from TEL, “Ouroboros“, a track from the band’s upcoming début album, ‘Lowlife‘. 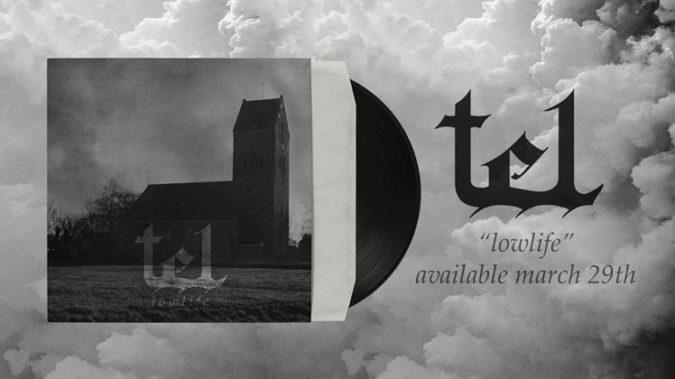 In addition, “Submerged“, another track from the upcoming five-song album is included below, while a three-song, self-titled 2017 EP from TEL is currently available as NYP (Name Your Price) HERE. ‘Lowlife‘ will be released via Aural Music on March 29th. The album was produced by fellow RVA musician (Windhand guitarist) and producer, Garrett Morris, with mastering handled by Dan Randall (Cannabis Corpse, Iron Reagan, Ghoul) at Mammoth Sound Mastering. ‘Lowlife‘ is available to pre-order now at this LINK.